According to Bob Nightengale, the Yankees have signed journeyman outfielder Shane Robinson to a minor league contract. He gets an invite to Spring Training and a $950,000 salary at the big league level. The Yankees will now have 21 non-roster players in big league camp this spring. 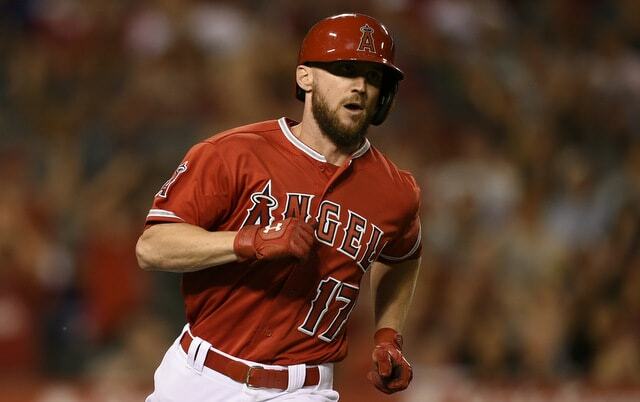 Robinson, 33, spent the last two seasons as an up-and-down outfielder with the Angels. He hit .319/.370/.425 (108 wRC+) with two homers, 15 steals in 16 attempts, and a 9.6% strikeout rate in 86 Triple-A games last year, and went 6-for-31 (.194) with the Halos. Robinson is a career .226/.294/.297 (64 wRC+) hitter in 795 big league plate appearances with the Cardinals, Twins, and Angels. I have to say, I’m surprised a) the Yankees would sign another outfielder, and b) Robinson would sign the Yankees given their outfield depth. The Yankees have nine outfielders on the 40-man roster right now, so playing time doesn’t figure to be easy to come by for Robinson, even in Triple-A. Now watch him spend three months on the MLB roster.